The difference between one and two dollops of Nutella is meaningless to the average consumer, but the company that makes this addictively delicious product is taking it seriously. 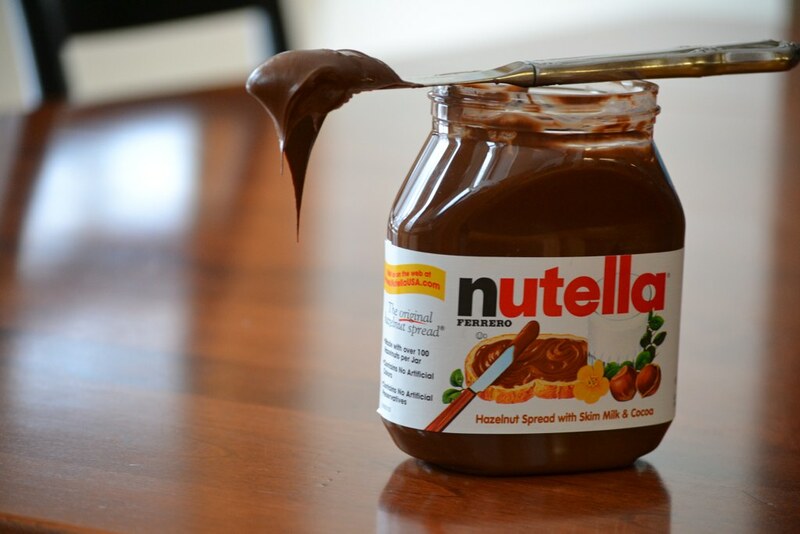 Ferrero, based in Alba, Italy, petitioned the U.S. Food and Drug Administration in 2014 to re-designate it’s famous product, Nutella, as a jam or a new “nut cocoa-based spread.” The agency assigns to any product in the jam category a serving size of one tablespoon in those “Nutrition Fact” boxes you might have seen printed on the package. Currently, Nutella is categorized as a dessert topping, to which the agency assigns a serving size of two tablespoons. First came time for public comment, which closed Jan. 3, and FDA deliberation. If Nutella has its way, the calories for a single serving would fall from 200 to 100, perhaps falsely indicating that it’s a healthier choice to consumers who scrutinize these labels. The tiles of data on product packages look as dry as toast, but they also reflect the politics of food. The Nutella case shows how a product’s serving size can affect how healthy it appears. The FDA’s recent nutrition label makeover may undercut similar efforts to make foods look healthier than they are, since it attempts to re-calibrate serving sizes to reflect Americans’ real consumption habits. Anyone who has read the average serving size listed on the side of a pint of ice cream knows how laughably small these portions can be. Many revised serving sizes will increase, and thus the calories per serving will go up. For example, serving sizes are increasing for soda, soup and ice cream, according to the FDA. The serving size for the latter will be updated to one cup because many people eat more than the half cup of ice cream currently recommended on labels. The FDA’s goal is to give consumers better information so they can make healthier choices about what they eat. This is especially important as the U.S. faces a rising rate of obesity, which many researchers tie to growing portions at mealtime. But it’s not clear whether the labels, set to begin rolling out in July 2018, will inspire any changes in our eating behavior. In fact, new research suggests that the public may not even have a clear understanding of the meaning of “serving size” on nutrition labels. Nutrition Facts labels were last updated in 1993, when Americans ate much less than they do now. The average number of calories Americans consume daily increased by more than 700 calories from 1980 to 2005. As a result, the aging labels give consumers a rosier picture of their caloric intake than is likely accurate. “Today, people are eating differently, so some of the serving sizes on labels, and the amount of calories and nutrients that go with them, are out of date,” FDA spokesperson Lauren Kotwicki wrote in an email. The serving sizes on nutrition labels of packaged foods and drinks are generally based on a standardized approach. The U.S. Centers for Disease Control and Prevention gathers behavioral data on the portions that the average American consumes of various products in one sitting and then passes the results along to the FDA. That agency then develops a measure called the Reference Amounts Customarily Consumed. Food manufacturers rely on these figures to arrive at an accepted serving size that ends up on a particular product’s label. However, manufacturers have a bit of legal leeway in how they determine serving sizes. If a product is two to three times the reference amount set by the FDA — essentially an item that could be could be consumed in one sitting but might be eaten in two or three — it’s up to the company to pick the serving size. If a company wants a product to appear healthier, they’ll reduce the serving size — resulting in fewer calories, sugars, fats or carbohydrates on the label. “Manufacturers have done a really good job of using this nutritional framing to make it appear like [these products] have fewer calories than they actually do,” said Gina Mohr, a food marketing researcher at Colorado State University. Although larger serving sizes will mean more calories and fat on labels for many foods, at least one food company views the FDA updates as a positive step. So how will the new labels affect our eating habits? One recent study showed that people exposed to the new labels actually ate more and served more to others, because they took the “serving size” data on the label as a recommendation for how much to eat. However, another recently-published study exposed one group of people to a label with a larger serving size, and therefore double the calories, as a control group. The group exposed to the larger serving size viewed foods as less healthy and even consumed fewer snacks. Consumers got a better sense of how many calories they were truly ingesting, the researchers concluded. “What we consistently saw was that, especially for unhealthy foods, as you increase the serving size, consumers began to believe those foods were increasingly unhealthy,” says lead author Christopher Hydock of Georgetown University. A plausible explanation for this discrepancy is that the specific questions posed to consumers in the two studies differed, Hydock reasons. In the previous study, consumers were asked to portion out food for themselves and others, so they likely wanted to make sure they had enough. But in his team’s study, researchers provided set amounts of food and monitored how much each person chose to eat. More broadly, consumers may not understand what the phrase “serving size” signifies, Dallas says. Additionally, they might be averse to dividing the amount of food in the package by the serving size to find the real number of calories they’ll eat, Hydock adds. Therefore, he’s optimistic that the FDA’s decision to increase serving size — and minimize that tricky nutritional math — is the right choice. Educating the public about nutrition is also key for tackling this problem, according to many researchers. Another solution is to change the language on nutrition labels to describe a “typical” serving size, clarifying that the listed serving size is not a recommendation, says Lisa Young, a nutritionist at New York University. And that problem compounds, day after day.